I'm wishing you all a day filled with smiles, love and laughter shared with friends and family and may 2015 be your best year yet! Enjoy the holidays and always be positive. Site update: I want to let you all know that the updates will be paused for now as I'm getting more and more busy with school and personal stuff. In the future I may resume the updating but I'm not certain when or if this is going to happen. The good part is that I'll continue to update everything around Miley in my Twitter - @TeamCyrusBG. I won't close Miley-Cyrus-World.blogspot.com so you can always use it as a Miley archive. I will miss updating but everything in this life has an end, right? These past 3 years were the best and I will never forget this amazing experience. I want to say a BIG thank you to everyone who visited my site and supported me! I love you all SO much! Published by: - M in: 9:39 ч. Yesterday (16th Dec), Miley and boyfriend Patrick were spotted shopping at Saks Fifth Avenue and Barney's in Beverly Hills, CA. Check out the candids in the gallery. Published by: - M in: 11:43 ч. A new wax figure of Miley was recently unveiled at the Hard Rock Cafe in Washington D.C. The statue is really beautiful! Check out the photos in the gallery below. Published by: - M in: 11:33 ч. 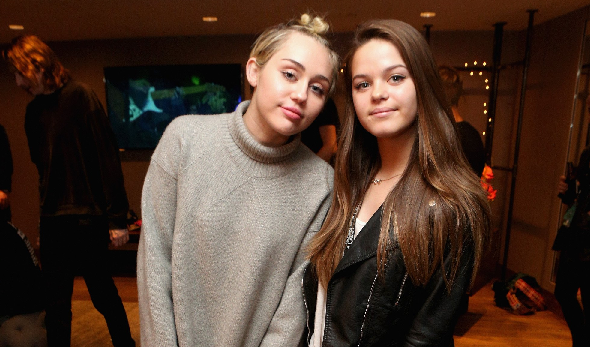 Yesterday (14th Dec), Miley and Patrick attended the 25th annual KROQ Almost Acoustic Christmas at The Forum in Inglewood, CA. Witnesses who attended the event said that Miley and Patrick "couldn't keep their hands off of each other" and that "Miley was in a great mood - laughing, smiling and taking selfies with her friends". Check out photos from the event in the gallery. Published by: - M in: 11:44 ч. 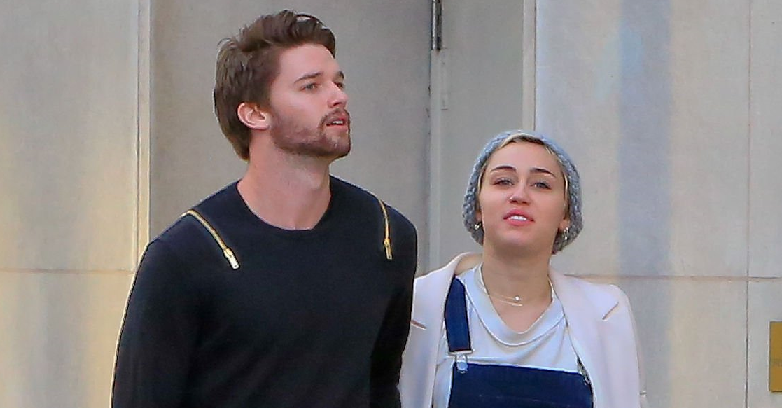 Yesterday (14th Dec), Miley and her friend Vijat were spotted out and about in Los Angeles, CA. 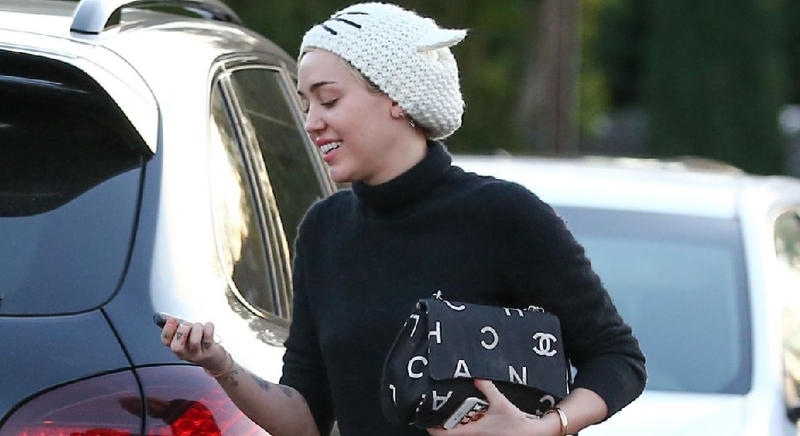 Miley looked super stylish, check out the candids in the gallery. Published by: - M in: 11:32 ч. Last night (13th Dec), Miley and boyfriend Patrick attended the Brooks Brothers' Christmas celebration with St Jude Children's Research Hospital And Town & Country in Beverly Hills, CA. Check out pictures from the event in the gallery. Published by: - M in: 10:48 ч.
Miley Cyrus recently underwent surgery to remove a cyst from the inside her wrist and the operation was performed on Friday, a source told E! News exclusively. It was a scheduled outpatient procedure, another source said, adding, "She's doing fine." The 22-year-old pop star is maintaining her sense of humor about it: She had on Friday posted on her Instagram a photo of herself wearing what appears to be a hospital gown, which she deemed to be "sooooo hipster," as well as extremely graphic photos of a surgical procedure. She also shared several photoshopped versions of what looks like her wrist (characterized by what appears to be her "Wukong" tattoo) with a wound showing raw flesh and held open with surgical instruments. It is unclear if the pics are authentic or who took them. "I have pizza in my veins," she wrote in one caption, alongside a pic of a pizza slice graphic inside the wound. Among the other photos seen in other variations of the graphic pic: Images of Justin Bieber, Elvis Presley, a smiley face and her late dog, Floyd. "Omg Floyd veinz," she said. It is unclear what kind of cyst Cyrus had removed. Lumps found on the wrist or other parts of the hand are usually benign. One of the most common types are ganglion cyst, which are sometimes called "Bible's Cysts" or "Bible Bumps." Some go away on their own, while others require surgical removal if they start to cause pain or discomfort. Published by: - M in: 10:41 ч. Published by: - M in: 10:23 ч. Last week (5th Dec), during her trip to Miami, Miley was spotted relaxing on her hotel balcony with friends Cheyne, Katy, Wayne and others. Check out the candids in the gallery. Published by: - M in: 13:20 ч. Published by: - M in: 0:59 ч.